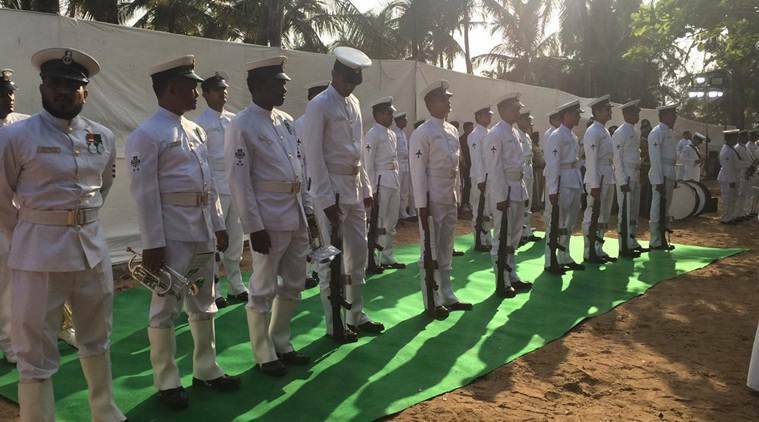 Four-time Goa chief minister and former Defence Minister Manohar Parrikar was laid to rest at Miramar Beach on Monday, next to the memorial of the state’s first CM Dayanand Bandodkar. Parrikar’s eldest son Utpal lit the funeral pyre. 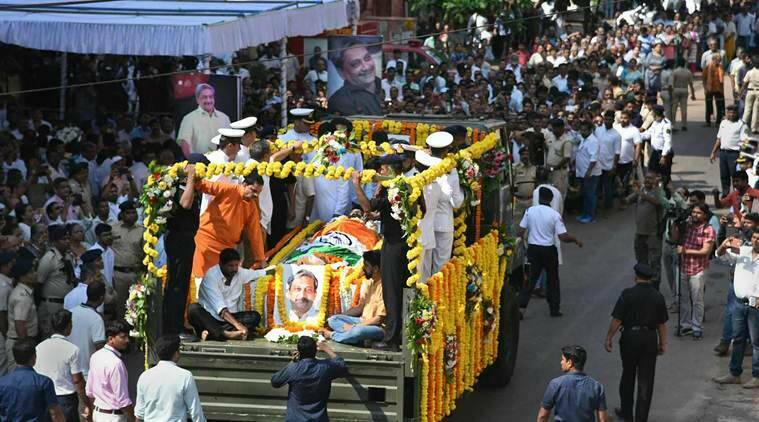 Parrikar was accorded state funeral with full military honours at Miramar in the presence of his family members, several politicians, including BJP president Amit Shah, and thousands of commoners who trickled in to have a final glimpse of the leader who passed away on Sunday following a yearlong battle with pancreatic cancer. Meanwhile, after several rounds of talks between BJP and its allies — Maharashtrawadi Gomantak Party (MGP) and Goa Forward Party — consensus eluded on selecting the next chief minister of the state. “It will be better if we arrive at a consensus by today. BJP Goa has decided who should be their leader, the issue is only with alliance partners,” Union Transport Minister Nitin Gadkari said. Speaker Pramod Sawant and BJP leader Vishwajit Rane are the frontrunners for the post. Earlier in the day, Prime Minister Narendra Modi and Defence Minister Nirmala paid tribute to Parrikar at the Kala Academy and met his family members and offered their condolences to them. Union Ministers Suresh Prabhu and Smriti Irani too paid homage to Parrikar as hundreds of common folks and his party workers lined up outside the BJP office — signalling the affection and popularity the former CM enjoyed among ordinary Goans. The Archbishop of Goa and Daman Fr Filpe Neri Ferrao and secretary of Diocesan society of Goa Fr Zeferino D’Souza and members of the Dawoodi Bohra community also arrived at Kala Academy to offer their last prayers. Major market places, including Manohar Parrikar’s hometown Mhapusa and Panaji remained closed since morning Monday.